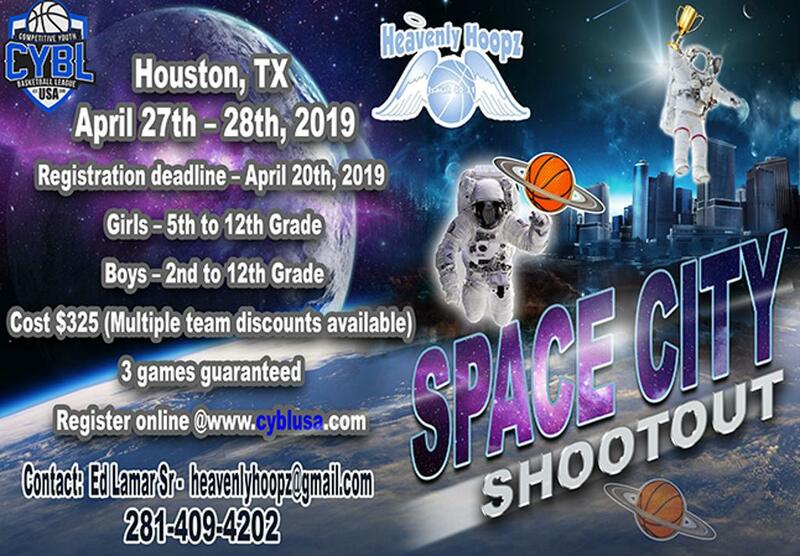 Welcome to the Space City Shootout hosted by Heavenly Hoops basketball club. This event will be hosted in Houston, Texas. This tournament features some of the best players and travel basketball teams from around the country. This event will sell out.